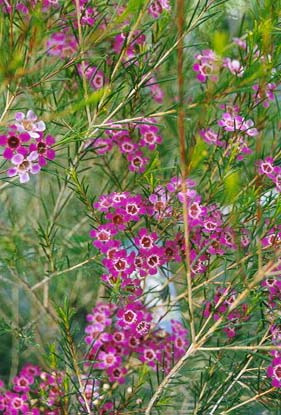 This attractive wax flower is one of the hardiest for Southern California. Requires full sun and well drained soils but will tolerate quite cold frosts 18F. It will burn back but comes back beautifully by the end of spring. Great small tree (7') or shrub for any garden. Excellent cut flower and grown commercially.